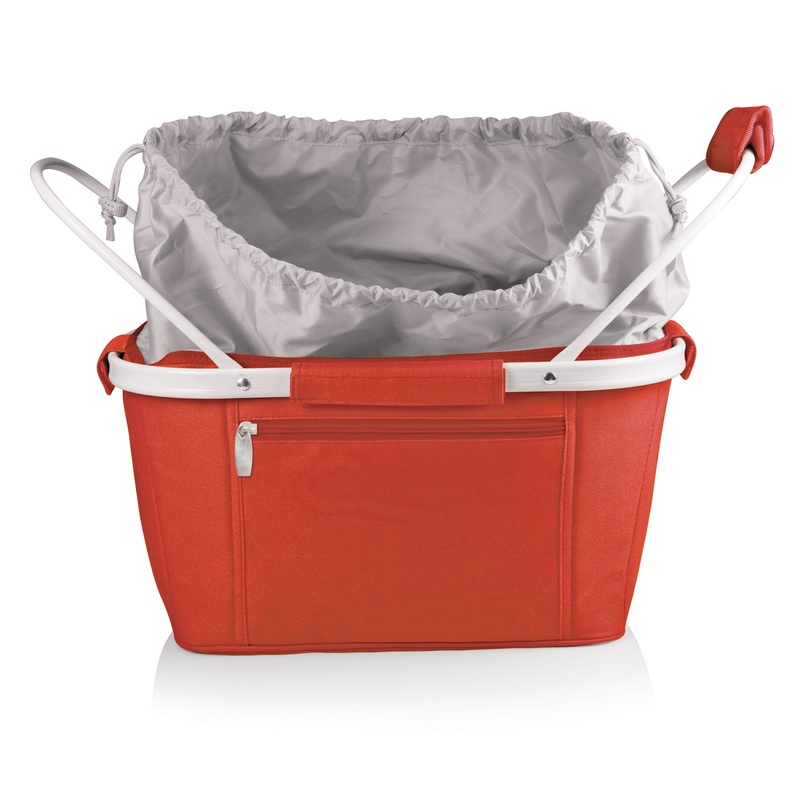 The picnic basket is very roomy and the collapsible feature is great for storage. I would suggest anyone who is looking for a picnic basket to consider this basket. I gave this basket as a Christmas gift, my son loved it! I filled it with all kinds of goodies! He was impressed that it could be completely collapsed for easy storage, and that it is made of very sturdy material. I love this product! 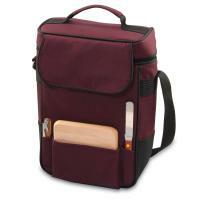 It is nice and easy to carry around to the store and more. It is a great thing to have in your car for groceries! I received one last year and sent it as a Christmas gift to someone who saw me use it. She loves it! This was a Christmas present and it was a big hit! I will be purchasing more as gifts. 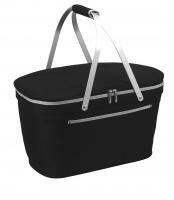 I use this basket on trips to the outdoor market but look forward to taking it on picnics. The size is just perfect, it's not heavy, and I love how it collapses almost flat when not in use. Lately I've been leaving it in my car trunk just in case I need it when I'm out. I loved my metro basket. 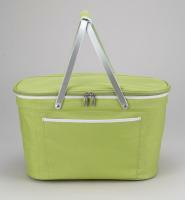 The color options are wonderful, the collapsible feature is great for storing and the fabric is durable. I bought one for my friend in Toronto, Ontario and she is buying some for her sisters for Christmas. I love the picnic basket! I liked the choice of colors it came in. 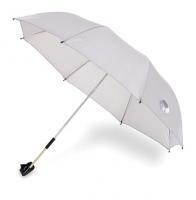 I also like the fact that it's collapsible and the handle folds down. This is an awesome update on a classic idea...picnics. It is functional and beautiful! I think this is a great gift item! I am very happy and would recommend it to anyone! 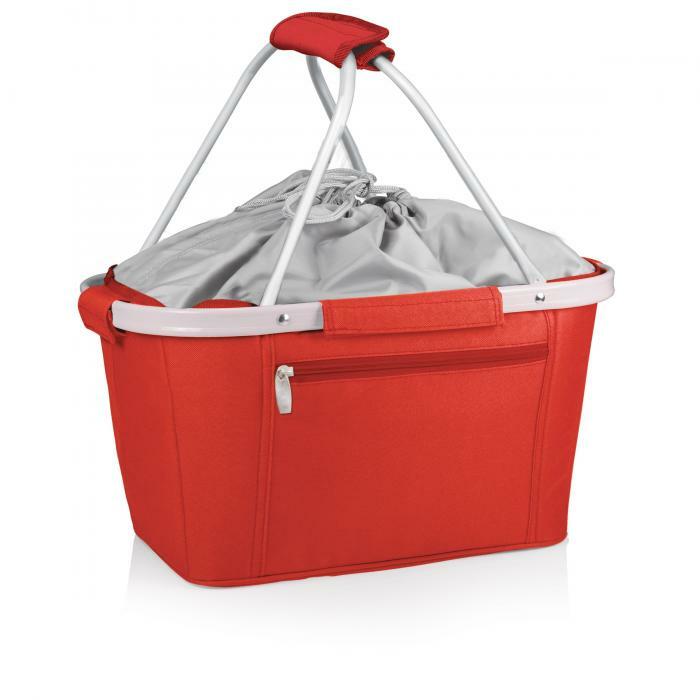 I love this picnic basket! I took some wine and a salad to our family picnic, not only did it stay cold but everyone at the party loved the bright orange basket. I absolutely love it! I use it constantly. It is a great product and I love the green that I ordered. Thanks. Hi! LOVED the basket. I bought two. One for me and one for a friend. They are WONDERFUL! I love it! It's easy to pack and carry. It keeps food warm or cold, depending what you want. I plan to order more in different colors. The basket is wonderful, with plenty of room for a great picnic. I keep it packed with essentials always because I'm loving using it! I got many compliments on it's attractiveness also! My husband and I love our Picnic Basket. I bought it because we had several picnic concerts to attend this summer. This basket holds everything we need. Wine, glasses, tablecloth & napkins, dinner to dessert. 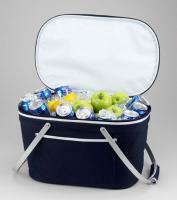 It keeps our items cold and folds away when not in use. I'd love to have one in every color. The bag is roomy and insulated! We bought this item to take with us to Maui; it packs very well. We used it to take lunches on the road to Hana and it kept everything nicely cooled -plus it's attractive. The basket has a very modern look. The top drawstring cover made closing easy.